Emanate Technology had a wonderful time hosting our 6th Women in Technology Luncheon last week. We’re pleased to host this event quarterly and are passionate about facilitating valuable opportunities for women in the Canberra IT industry to come together and form strong networks. We’ve seen an increased focus towards gender diversity in the workplace in both the public and private sector across the Canberra technology market and believe that we, as a recruitment partner, can positively contribute to achieving diversity goals. We’d like to extend a sincere thank you to our engaging and thought-provoking guest speaker Marianne Vosloo, CIO of the AFP, for presenting at our event. The Emanate team and our guests were privileged to hear Marianne speak about her personal and professional experiences and share her insights into how to maximise effectiveness in a senior leadership role by continuously challenging “we’ve-always-done-that’ thinking and encouraging participation to drive change from within. 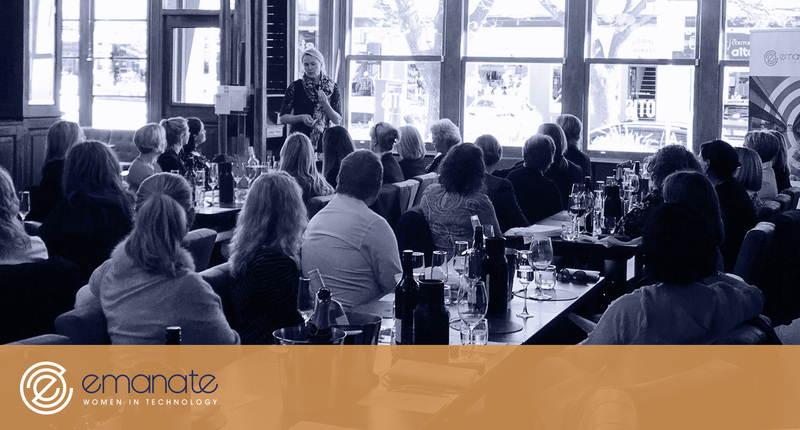 Emanate will continue to host events and support initiatives for women in the Canberra IT market and are committed to ensuring that our endeavours are targeted towards women across all IT disciplines and at various stages of their career. Whether you’re a developer or a project manager, graduate or in a leadership role, be sure to follow us on LinkedIn to stay up-to-date and get involved.